Leawo Music Recorder is a decent but easy to use music recording software program that helps you record any audio it could capture. It could record audio and music from computer audio and online music sources like YouTube, AOL Music, Last.fm, etc. and Mic or other built-in input audio stream like Realtek High Definition Audio, Realtek Digital Input, etc. as well. With the assistance of task scheduler, it allows you to schedule music recording by setting the recording start time and duration. Powered by great online music database, Leawo Music Recorder could automatically download and add music tags like artist, album, album artwork, song name, etc. to recorded music files. People could edit music tags manually, manage and play recordings in media library. Recording Computer Audio Stream and Online Music is easy job for Leawo Music Recorder. It could record any audio on your computer, including computer audio and online music from YouTube, AOL Music, Last.fm, etc. Besides recording computer stream audio and online music, Leawo Music Recorder could also record Mic or other built-in input audio stream like Realtek High Definition Audio, Realtek Digital Input, etc., and choose a value to set 3D Depth effect. Leawo Music Recorder could help download and add music tags to recorded music files, like song artist, song album, song album artwork, song name, genre, year, etc. Also featuring an internal music tag editor, Leawo Music Recorder even allows users to edit music tags manually. Users could freely edit music tags like artist, album, cover, genre, etc. 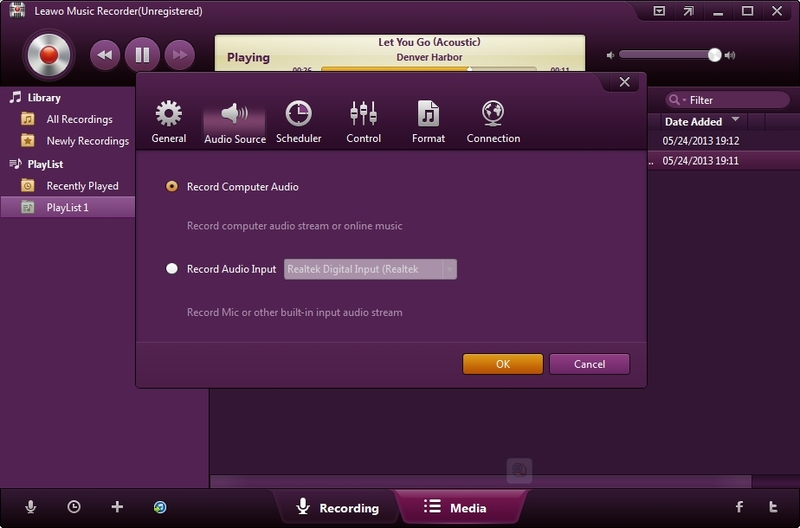 Leawo Music Recorder allows users to apply recorded music files to iTunes music library in only one click operation. People could freely enjoy and share music recordings via iTunes. Leawo Music Recorder (Win+Mac) is actually worth $19.99 but now it’s freely available with genuine license code during the phase of a Giveaway which starts from June 21st, 2014. Please grab it as soon as you can because it’s not know when this giveaway will be over. For grabing it, all you have to do just visit the Giveaway Page, enter your Name & Email and click on Get It Now button to get software. An email including your license code and confirmation link will reach to your email address. Software is around 18.90 MB for Windows users. As the installation will be finished, just open the software and use the official genuine license key to activate the software. Remember Giveaway item does not support free upgrades and technical support (Includes offline registration) will be provided and also you have to install and activate it before the Giveaway offer period is over.